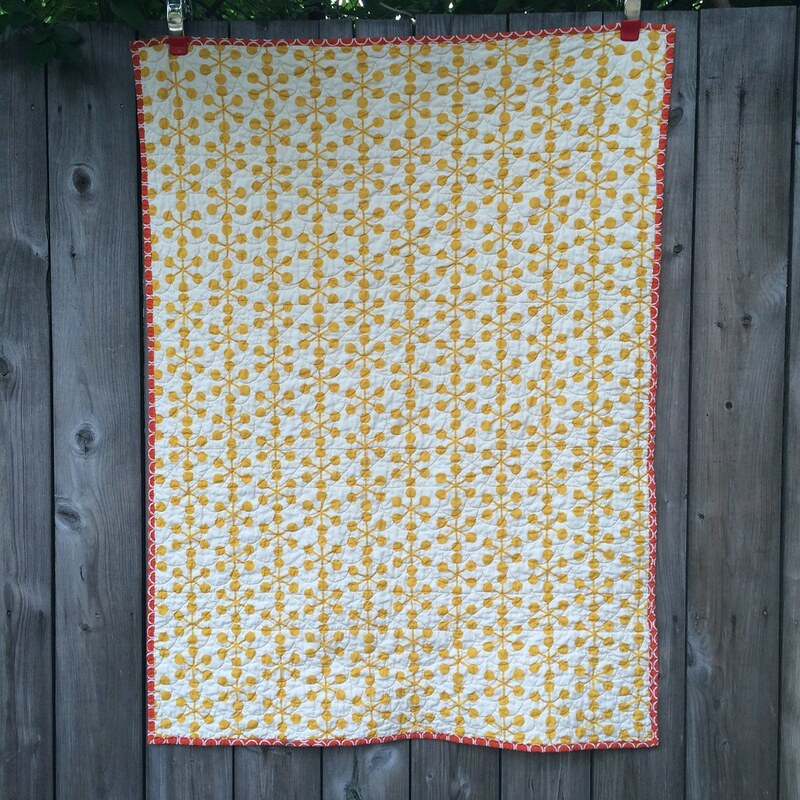 I was casting around for a quilt to post today, and having the binding half done on this one, I decided to finish it up and blog it! Then I realized that I'd have to wash it first, because I used a soluble graphite pencil to mark the lines to quilt in, but still managed to wrestle it through the process in time to take pictures before late afternoon, so yay! 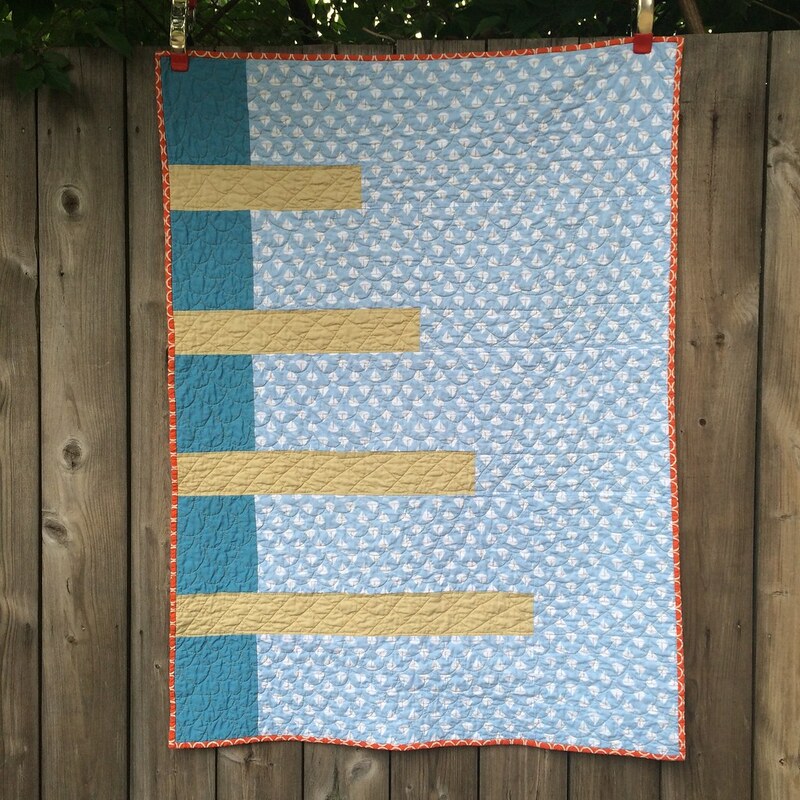 And I tried to design a very modern baby quilt, yet one that still said baby. 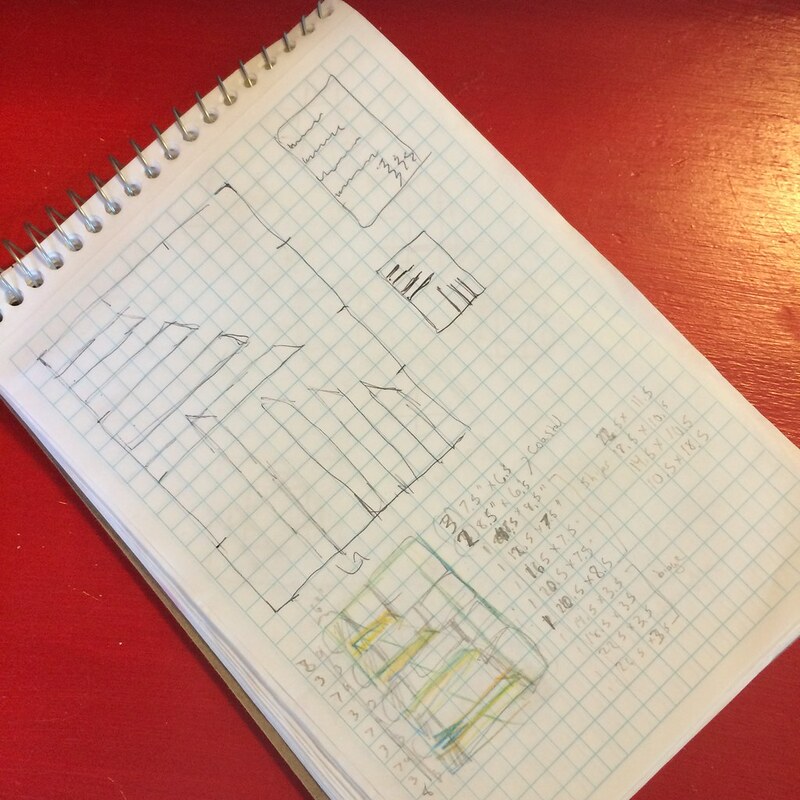 Here is my sketch book page, I was very enamored of lines, but I simplified it from the first draft, and added a third color. Two solids and one print. I'm sure it would have stayed just an idea, but I got pretty sick right after Easter, too sick for work, not quite sick enough to just zone out, but too sick to concentrate on sewing curves and paper piecing, which were my ongoing projects at the time (still are! Oops....) So, this being a very straightforward quilt to assemble, I put it together, and when I started basting all my unquilted tops in July, it got basted too. I backed it with this most awesome print from Comma. 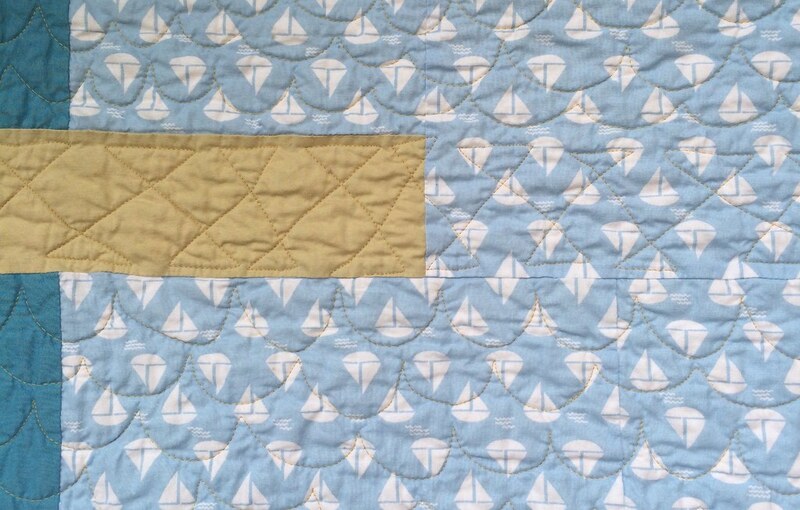 I quilted it with upside down clamshells to make waves, and the walking diamond from Angela Walter's first book. And used one of the quilting techniques she suggested, extending the quilting past the shape, so that the waves and the bars form a series of lines down the length of the quilt. I've been quilting all week, so I have a few more to bind. And a few more to quilt, too! Then I'd probably better see about that long neglected paper piecing project, as I'm hoping to submit that one for the next QuiltCon!